MANILA, Philippines - The Department of National Defense (DND) is building two Air Force facilities to upgrade the military’s maritime defense and rescue capabilities over the country’s territorial waters in the West Philippine Sea and Sulu Sea. 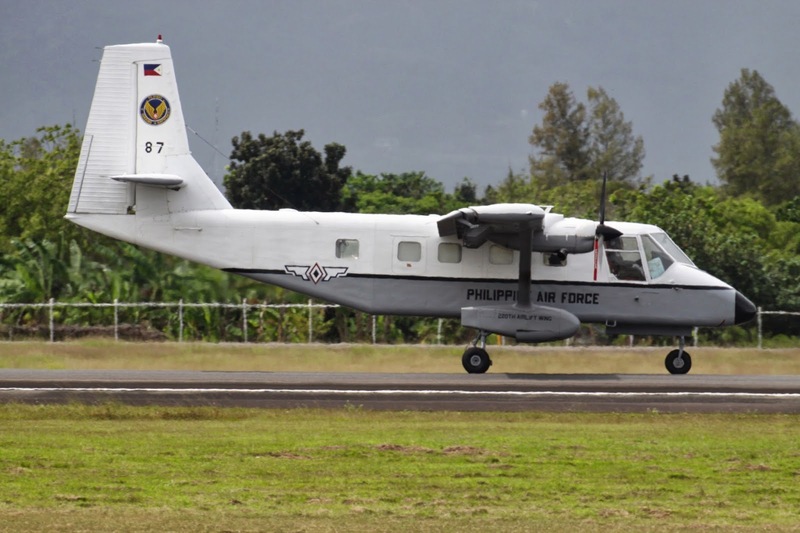 Called the Philippine Air Force (PAF) Search and Rescue Basing and Hangarage Project amounting to about P149 million, the facilities will be constructed in Puerto Princesa City, Palawan and in Sanga-Sanga in Tawi-Tawi. The department also signed an P882-million contract with an Israeli firm last week for the acquisition of 28 armored infantry fighting vehicles. The PAF is also expecting deliveries of a squadron of lead-in fighter jets and rotary aircraft under its ongoing capability upgrade projects in line with the Armed Forces of the Philippines (AFP)’s modernization program. “The plan is to upgrade the capability requirements of the Philippine Air Force and improve the operational effectiveness by constructing hangars and facilities as support systems to sustain the search and rescue operations and support its maritime security and protection of the Malampaya natural gas-to-power project, the Reed Bank and the future Sulu oil rig,” said Defense Undersecretary Eduardo Batac, who chairs the DND’s Special Bids and Awards Committee-2, in a published bidding invitation for the two projects. Reed Bank, which is also being claimed by China, is believed to be sitting on huge oil and natural gas deposits. Two years ago, two Chinese vessels harassed a civilian survey vessel commissioned by the Department of Energy, prompting then Western Command Cmdr. Lt. Gen. Juancho Sabban to dispatch two OV-10 bombers to ensure the safety of the DOE vessel and its crew. The Malampaya natural gas-to-power project, also in the waters of Palawan, is in full operation. There are also ongoing oil explorations in Sulu Sea, which is believed to contain huge oil and mineral deposits. “The DND and AFP now invite bids for eligible bidders for the construction of two SAR hangarage projects including other requirements,” Batac said. Pre-bid conference is scheduled on Jan. 22 at the Philippine Veterans Affairs Office conference room in Camp Aguinaldo in Quezon City. Opening of bids for the project has been scheduled on Feb. 3 at the same venue. “Bidding is restricted to Filipino citizens or organizations with at least 75 percent interest or outstanding capital stock belonging to citizens of the Philippines,” Batac said. On the acquisition of 28 armored infantry fighting vehicles from Israeli defense contractor Elbit Systems Land and C4I, Batac said it is aimed at boosting the inventory of light armored units and land fighting capabilities of the 80,000-strong Philippine Army. Four of the 28 armored vehicles are of the recovery type, which can be used to tow damaged units in times of combat. Defense assistant secretary Patrick Velez said delivery is expected within two years.